October 30, 2015 HockeyDraft.caLeave a Comment on Is This Season Already Hopeless for the Calgary Flames? 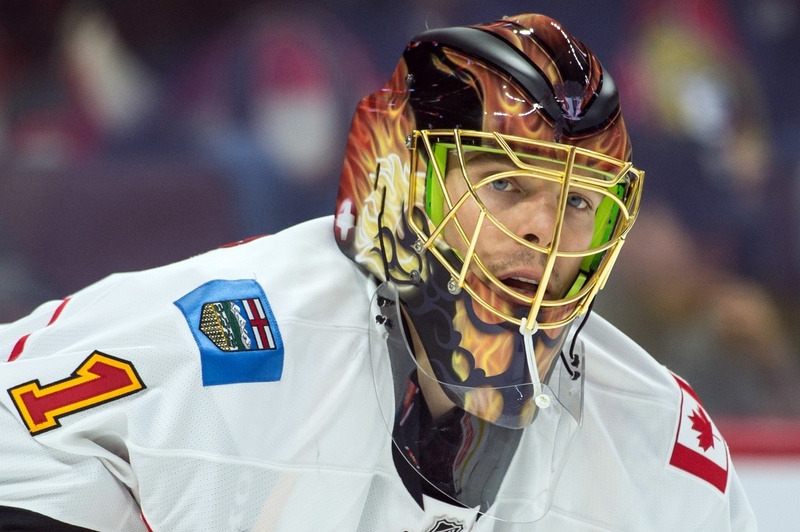 Is This Season Already Hopeless for the Calgary Flames? Expectations were relatively high for the Calgary Flames going into the 2015-2016 season, that’s for sure. They made the playoffs last season for the first time in six years and were set to build on that accomplishment. But so far, things aren’t looking so hot. The Flames have just five points in 10 games, with a 2-7-1 record. They’ve scored 20 goals, but have allowed 39 goals against thus far. Only the Columbus Blue Jackets have allowed more goals against. And only the Blue Jackets, Toronto Maple Leafs and Anaheim Ducks look more hopeless so far this season. The picture looks even more hopeless from here, with the CBC’s Andrew Brown reporting that 15 teams have started with five points or fewer since league expansion in 2000-2001 and none of those 15 teams have made the playoffs. That doesn’t count the lockout-shortened 2012-2013 season, of course. Some might argue that such statistical “rules” are made to be broken and that’s certainly the case. There’s an awful lot of hockey to be played, after all, and any team is capable of turning things around after a slow start. The trouble is that it doesn’t happen that often, if ever. There have been some highlights, like the play of Johnny Gaudreau for instance. He has 11 points in 10 games. Jiri Hudler is second on the team in scoring with nine points in 10 games, including three goals. He owns one of the team’s four power play goals and has registered 22 shots on goal. Dennis Wideman, Sean Monahan and Michael Frolik round out the top five scorers for the Flames. Goaltending has been another story, however. Jonas Hiller owns the team’s two wins, but he’s posted a dismal save percentage of .861 with a goals against average of 3.67. Karri Ramo has allowed 11 goals on just 91 shots against, with a goals against average of 4.37 over the course of three games. And Joni Ortio has seen 81 minutes of action, faced 45 shots and allowed four goals. That’s not a pretty picture, especially on the five-on-five. Last year, the Flames were .922 at even strength – floating right around the league average. But this year, they’ve clocked in at around .870 at even strength. That’s a difference of over a goal against per game, which is obviously a pretty big deal. The Flames can put the puck in the net, which counts for something, but they’re getting lit up in their own end and that’s going to eliminate anything they can do offensively. Getting off to a slow start like this is almost impossible to overcome, but something has to give in terms of goaltending and team defence. There are reasons to hope, like the return of T.J. Brodie or the slowly improving play of Dougie Hamilton, but it’s still hard to imagine Calgary clawing back to propriety this season. They’re in a deep hole and seem to lack overall discipline, which is a problem when special teams aren’t clicking as well as they should be. Is it already time to write this season off for the Calgary Flames? That’s hard to say. The numbers certainly tell a clear story, but that old-fashioned hockey optimism tells us that nothing’s impossible. Flames fans might cling to that sliver of hope, but something sure has to change to make that confidence pay off come the post-season.